The world would have you believe you can’t live victoriously if you’re imperfect. But at the end of the day, it’s not about you having it all together; it’s all about God’s faithfulness in working all things together for your good. 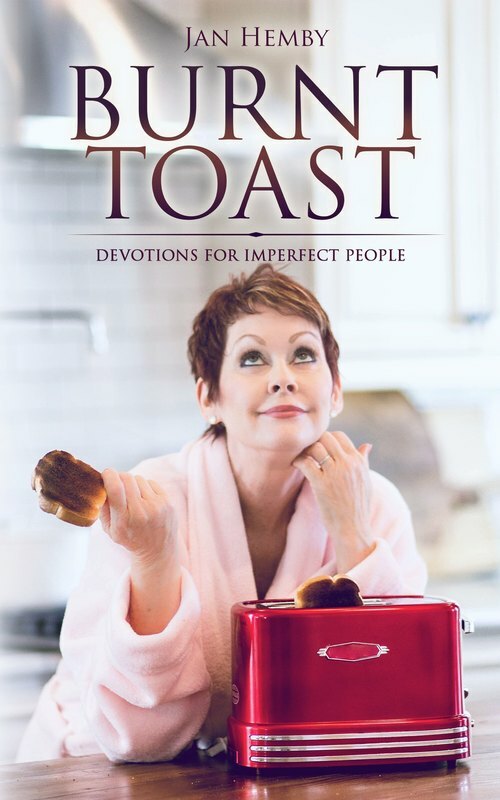 In her new devotional, speaker and author Jan Hemby shares stories that will inspire you, encourage you, and make you smile. Burnt Toast reminds you that your Heavenly Father is right in the middle of your everyday—sometimes mundane, sometimes crazy—life and will help you see just how much God delights in you. Even if you burn your daily bread and the neighbors have to call the fire department.